Since mid-spring I have been trying to sew using only my fabric stash. 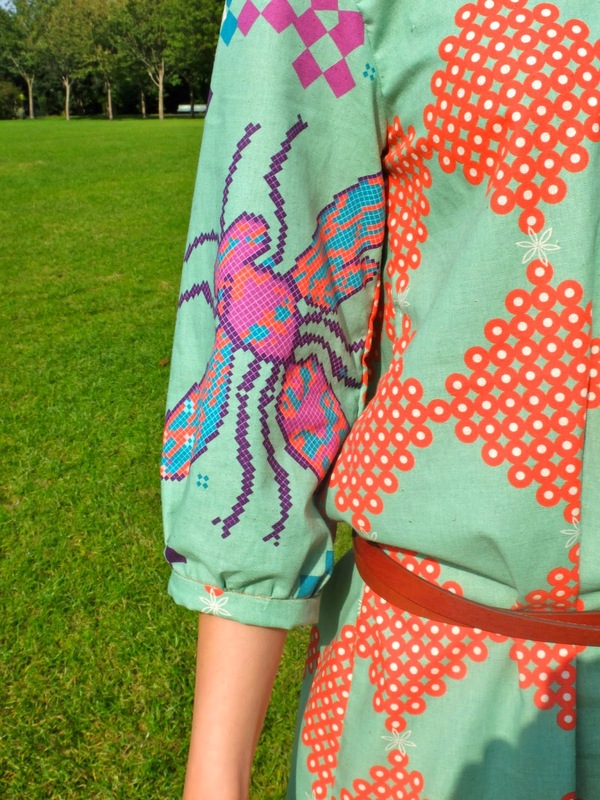 Sometimes I get a clear idea of what I want to sew just by looking at fabric, as in the case of the Dotty blouse. It took me much longer to decide what to do with this beautiful fabric, Ruby Star Spring, designed by Melody Miller. I bought this cut ages ago - in December 2011, to be more precise - in Miss Matatabi's Etsy shop. Made from 85% of cotton and 15% of linen, Ruby Star Spring feels nice against the body and doesn't wrinkle so fast as 100% linen. 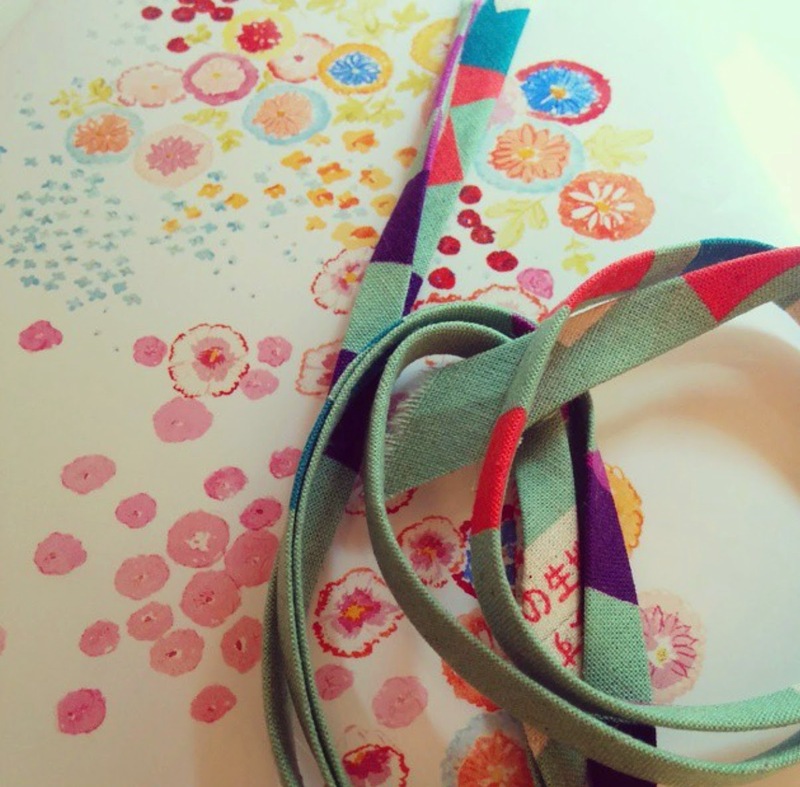 I fell in love with the print but could not decide how to use the fabric in order to showcase it, until one evening, I had an epiphany: Nani Iro sewing book! The Nani Iro book was released with the exact purpose I had in my mind for my Ruby Star Spring: to show off the fabric! therefore, as you might expect, most of the designs in the book are large and baggy. Do yo think this dress looks more like a tablecloth or a bag? By the way, you can read the full review of this book on japanesesewingbooks.com. The pattern I decided on is a peasant-looking dress with a gathered front and back yokes. The yokes are sewn to the right side of the garment exposing the raw edges. I sewed a size L and added 30 cm to the skirt and 10cm to sleeves. The book suggest to line the dress but I did not. The only difficulty I experienced while sewing was with the neckline. I tried my best to be as neat as possible! On the inside, all of the seam allowance are bound with self-fabric bias tape. I am not quite sure whether this dress suits me or not but I have to say that I feel very comfortable in it and with another 6 metres of Melody Miller Kokka fabric in my stash, expect more baggy garments from the Nani Iro sewing book! I love this dress Inna! It's so playful and spirited! You've really done the print justice. I have this book and love it. What a wonderful pattern to use for this print. It really allows the print to shine! I love it. The fabric is gorgeous. Look forward to more like this! I think this is such a fun dress and you know that no-one anywhere is going to have one like it! I personally think it looks gorgeous on you, that fabric is amazing and the colors too. The whole thing is just really playful! That's what all the bias making was about. I keep remembering when it's hot and humid, a flowy dress is all a glam girl needs. Love your style and how good is it that you've now used this fabric too. Being tall and slim you can carry any style so it suits you, you made it quite fashionable. 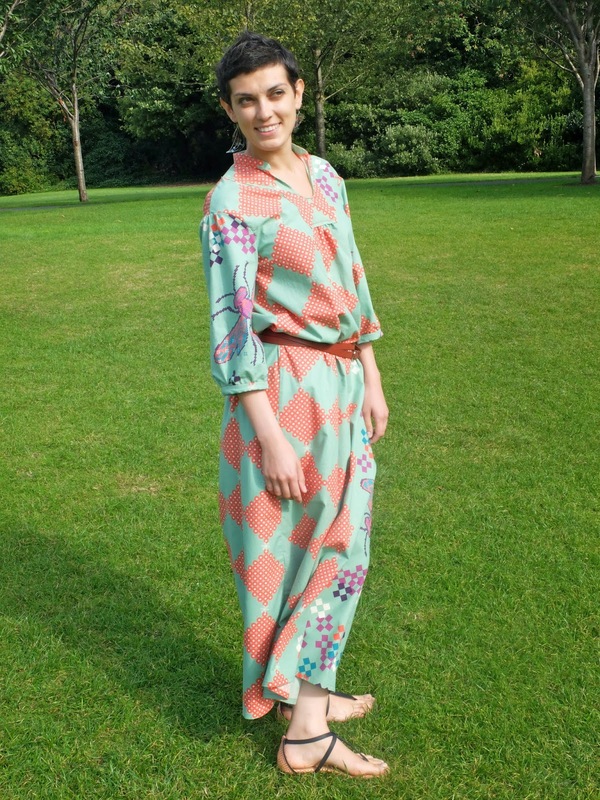 Love the fabric and the pattern is perfect for it … good thinking there! The slouchy chic wanderer style (very fashionable right now) does suit you! You look fabulous in it! Thanks, Kirsty. 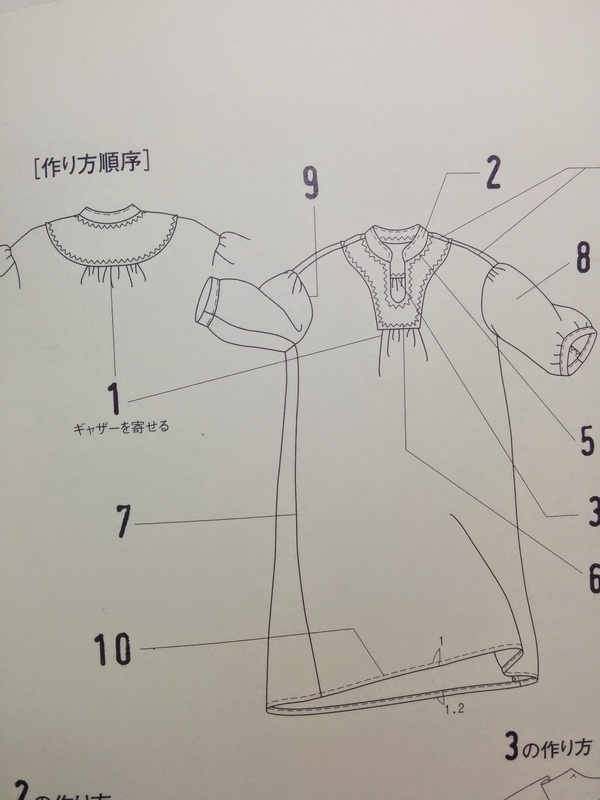 In general, I am a bit cautious about baggy garments but this particular sewing book in combination with Nani Iro fabrics shows a different dimension of slouchy garments. Thank you, Sophie! I agree with you! Don't we all love the idea of owning a unique garment? Another advantage of this dress is that in winter I can wear a pair of leggings or jeans underneath and nobody would notice! Whoa, giant bugs! This is a different shape for you, but it's a fun dress and feels very much like you. What a great print! Very interesting fabric, the dress looks like a famous designer's creation, great job! This will look even better in Winter when the weather is so dull, because you won't be in this dress. Very very nice dress!! It suits you! And should be very comfy! Ok, this is so cool I had to comment even though it has been awhile. I've been contemplating baggy clothes myself and with the belt on you I think it looks fabulous! It looks super comfy and it doesn't look like you're drowning in fabric. I've only used Nani Iro knitting patterns and I love how their focus is on showcasing the materials.